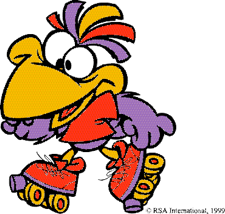 Skatehaven USA invites your daycare to join in exciting school holiday fun and activities. Conveniently located in Winston Salem, our family friendly environment is perfect for daycares and school age children. Use the form below to book your daycare or call (336) 765-1041. WHEN? Organized daycares receive special rates on the school holidays listed below. Come for a while or stay for the entire session. Full Service snack bar always available. WHY? FUN, games, exercise and recreational activity for school age children and counselors. $5 per person, includes Skate Rental and a free fla-vor-ice popsicle for each child. Available For: Daycare Centers, Church groups, & Summer Camps. No minimum number of children is required. Payment required at time of visit. We accept cash, Business check, Visa, Mastercard, & Discover. No Food or Drink may be brought into the rink. Just enter your information and select the dates you want to book below. You can book multiple dates on the same form. You don’t have to stay the entire session but it is better to cut the session short rather than come late. Dates will be omitted when they become full, so book all the days you want early. We will limit the number of groups that can get this special rate. You can book multiple dates on this form.